It's time. I've told people i'm "a girl with some websites" since 2005... there was never a grand plan, a brilliant money making scheme, or ambitious agenda here... when asked what's on my websites, the answer has always been "stuff i like"... the simpler version of "all the wondrous and amazing things i discover around the world and internet that i'm just so excited i have to share - whether that is art and design, random packaging details, creatures, cars, tech gadgetry, travel adventures, toys, hotel rooms, photography of things that catch my eye and so so so much more..." The result has been having you all join me as i explored my way through my 20's and into my 30's. And now it's time for change! 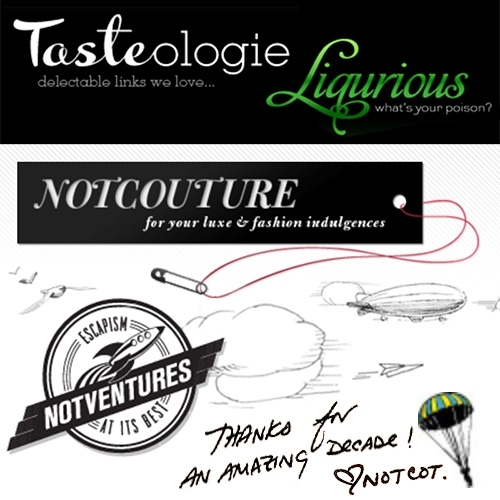 So today, we say goodbye to NotCouture, Liqurious, Tasteologie, and NotVentures - THANK YOU for all your amazing inspiration. I've learned so much from all of you!!! From day one, NOTCOT has been a playful experiment, where even i didn't know where it would go. First there was the blog (NOTCOT.com est 2005) then there was the digital manifestation of our studio bulletin board (NOTCOT.org est 2006) filled with all the amazing inspirations we'd clip and put up to share with one another! Then we ventured into dedicating special spaces to fashion (NotCouture), drinks (Liqurious), food (Tasteologie), and travel (NotVentures). 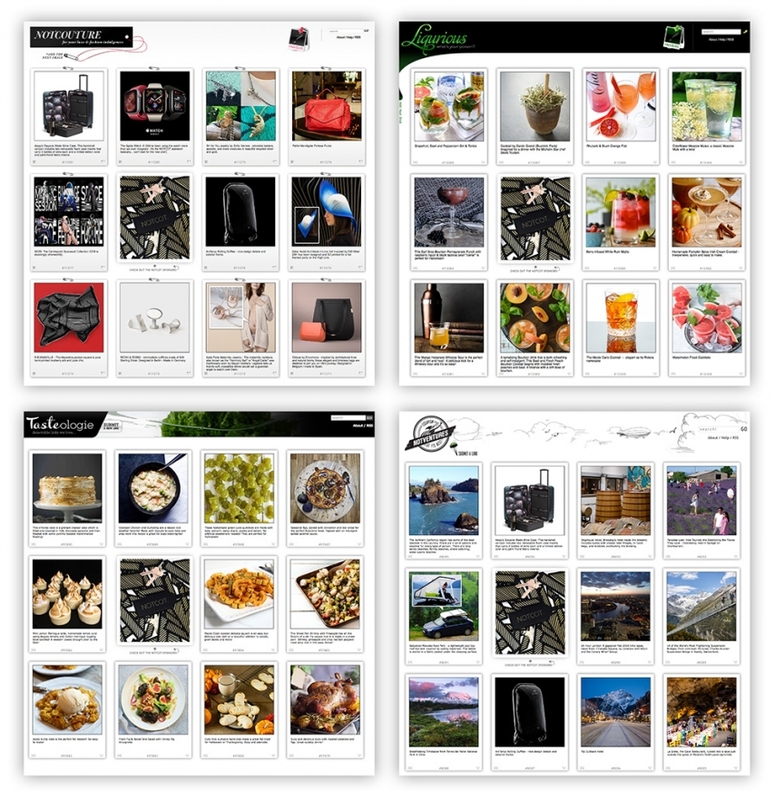 Now, i'm making space for exciting new possibilities, so the subsites are being retired as we return to focus on design inspiration through NOTCOT! Thanks so much for joining in on the experiment... can't wait to see where the future will take us next! If you have thoughts or ideas or want to team up on something new... reach out!